Your toddler is talking more, exploring more and acting more independently. There are new and exciting things to experience, whether it is going to music time at the community center, playing in the park, or a trip to see Grandpa! Along with new experiences and activities will, inevitably, come frustration, disappointment, anger, sadness and other strong emotions. It’s important to notice when your child is struggling with their emotions. 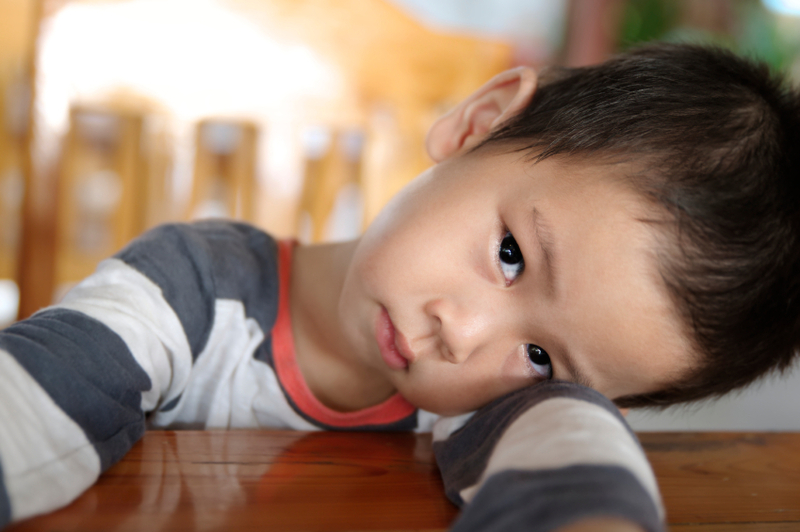 This could be a sign that your child is overwhelmed. Refusing options they usually like – they are offered apples or pears for a snack, but refuse both. Quickly and angrily give up working on a “project,” such as a favorite puzzle. Talk about your emotions and how you handle them – Mommy is disappointed there are no more bananas left to buy in the store. Let’s buy apples instead. Even your pets can help – The dog feels happy with her new toy! Mark time with music – If your child needs to wash their hands thoroughly have them sing the birthday song and keep washing until the song is finished. Teach them about taking turns – Switch off using different color crayons. Use a kitchen or phone timer to mark how much time you can use each color. Let them know how great they are doing waiting to use the next color or acknowledge that it’s hard to wait sometimes. When they are NOT having a hard time emotionally, practice ways to act out emotions. Reading a book about Mt. St. Helen’s blowing its top off when the volcano blew up? Use it as an opportunity to act out being so mad your top blows off! Provide choice! At an age when many children are often saying “no,” give choices – the red or the blue shirt? Warning: If your child is always saying “not that one,” try three choices to avoid the “either/or” scenes. Validate your child’s feelings and experiences. Be empathetic. We didn’t get to go to the park this morning because it’s raining. 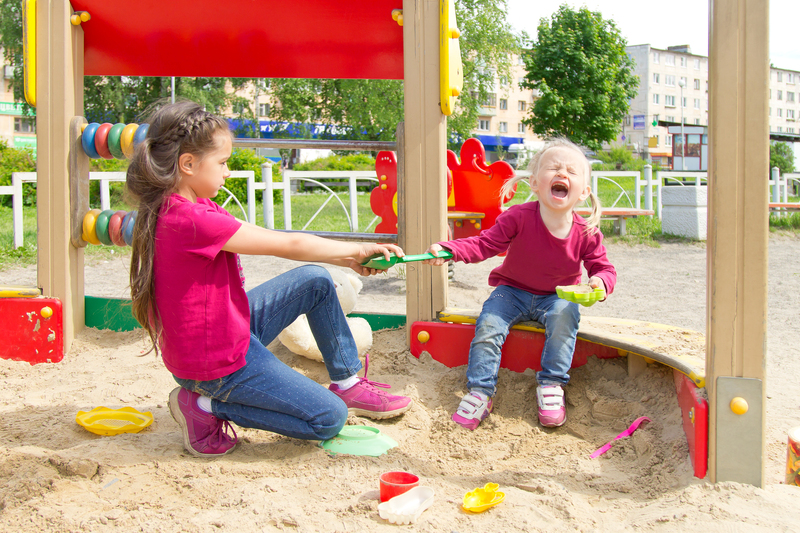 It’s really fun to go to the park and play on the swings and in the sandbox. You feel really angry because we can’t go and play. Let’s hope we can try again another day when it is not raining so hard. Find safe and appropriate ways for your child to deal with their emotions. Angry – how about punching a pillow? Make sure to emphasize hitting people or animals is not okay. Sad – how about you cuddle up in my lap while I read you a special story? Try some of the ways you practiced dealing with emotions previously– let’s pretend to blow our tops off like Mt. St. Helens. Remember, not every child is the same. Knowing your child’s personality will help you understand the best ways to help them deal with their emotions. Whatever your child’s personality, helping them learn daily patience and how to deal with strong emotions, will mean your child will be able to better manage life’s disappointments and frustrations. They’ll learn to start asking for help, use words like “I’m angry” before the temper tantrum starts, or comfort themselves when they are sad. You may not be able to protect them with magic bubble wrap, but you are wrapping them in an even more important gift by helping them handle and learn from all they experience as they continue to grow.